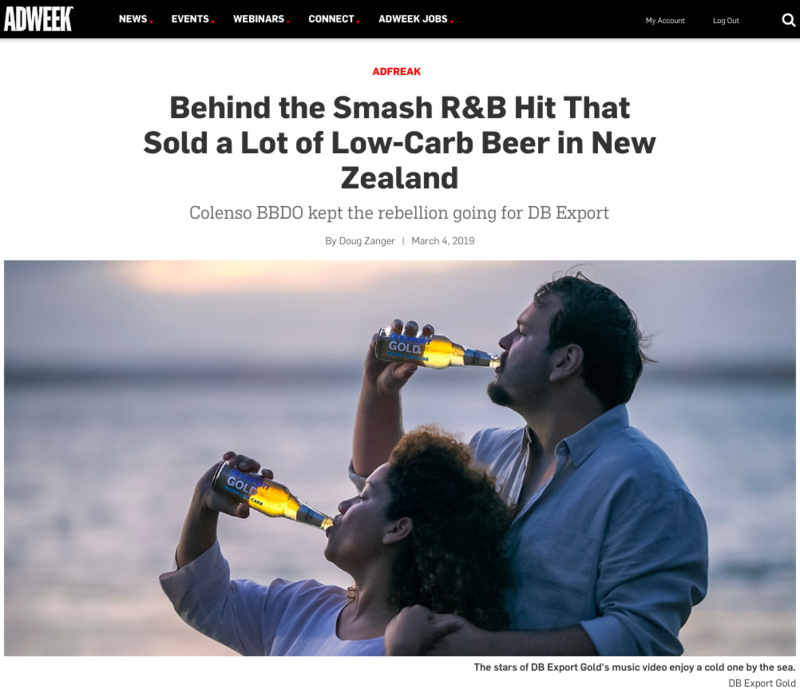 DB Export Gold Extra Low Carb is the latest addition to New Zealand’s already crowded low-carb beer market. While other brands were busy shouting how few carbs they have at each other, we turned the act of drinking our beer into a selfless act of romantic love – you get a tastier beer, and your partner gets a tastier you. To celebrate this, we composed an earnest romantic ballad about all the romantic things one can do for their partner…while holding a beer.